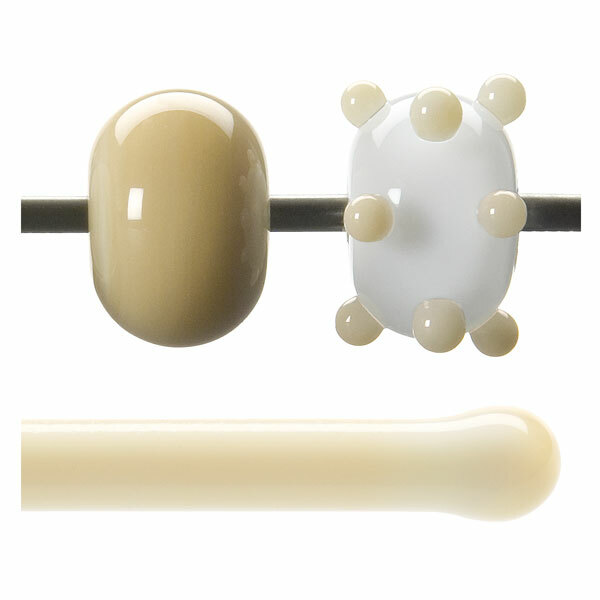 A warmer neutral than French Vanilla Opalescent (000137-0576). Torch: Rod-only glass style. A range of color can be achieved by variations in heatwork within a single piece. To avoid reduction, work in a neutral-to-oxidizing flame atmosphere. Kiln: Rod-only glass style. Warm, neutral color. Rod color is close to 000137-30, French Vanilla sheet, after a full fuse firing. A linear, streaked design may develop upon firing and may be visible whether fired lengthwise or on end.